Happy Memorial Day Weekend Richmond! Here are a few things to start your long weekend off today Saturday May 23rd. To obtain this beer, you will need to creep quietly through the lab as to avoid waking the monkeys who stand guard. Plus you can pick up a free Grunt, Growler, Blue Ball Mason Jar, or CANABLE now through Memorial Day with the purchase of a fill. Head over and try local homebrewer Steve Beasley’s winning entry into Triple Crossing’s RVA BrewCraft Competition. Coco for Coconuts is an imperial porter with 50 pounds of coconut, Blanchard’s Dark as Dark coffee, and vanilla beans. Homefront IPA clocks in at 7% ABV and is brewed using fresh orange zest. The beer is then aged on unfinished Louisville Slugger Maple bats. 100% of all proceeds from the sale of the beer are being donated to Soldiers’ Angels (Official). Soldiers’ Angels provides aid and comfort to the men and women of the United States Army, Marines, Navy, Air Force, Coast Guard, their families and the growing veteran population. There will be live music by Vexine, food trucks, and a raffle for the beer soaked Louisville Slugger bats. Head out to the brewery to celebrate the service men and women and give back to this great cause! 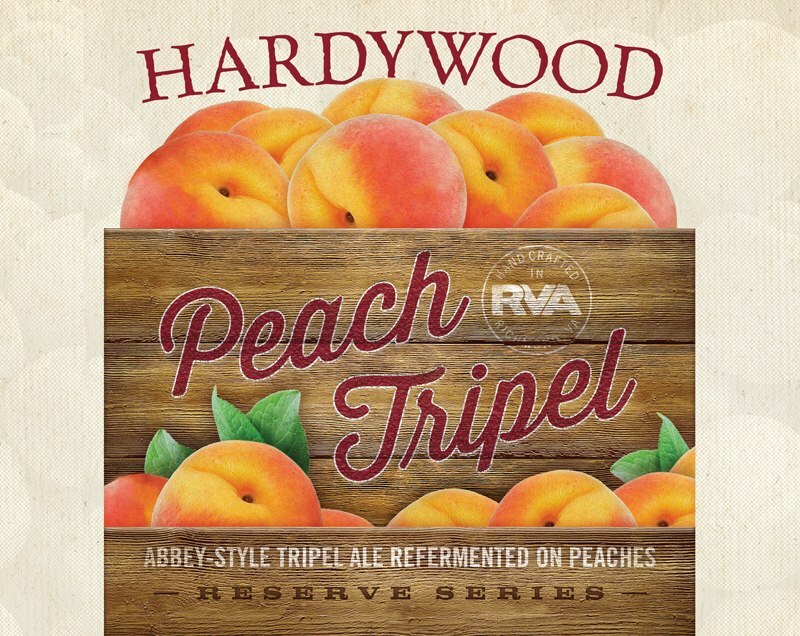 Hardywood is expanding their foray into fruit beers with the release of their Peach Tripel. The celebrated tradition of monastic brewing is perhaps best known for the dubbel, and stronger, brighter tripel styles, which are characterized by abbey yeast strains that create a delightful harmony of fruity esters and spicy phenols. Hardywood Peach Tripel displays a voluminous head, a sunshine golden hue, notes of white pepper and honeysuckle, and is refermented on over 50 pounds per barrel of peaches, apricots and nectarines, lending a subtle but luscious stone fruit character, and a pleasantly dry finish. Peach Tripel will be available for draft, 750ml bottles, and growler fills starting at 2pm. Enjoy live music from Samantha Pearl, Gull, Josh Small & Andrew Alli, and Manatree starting at 5pm.